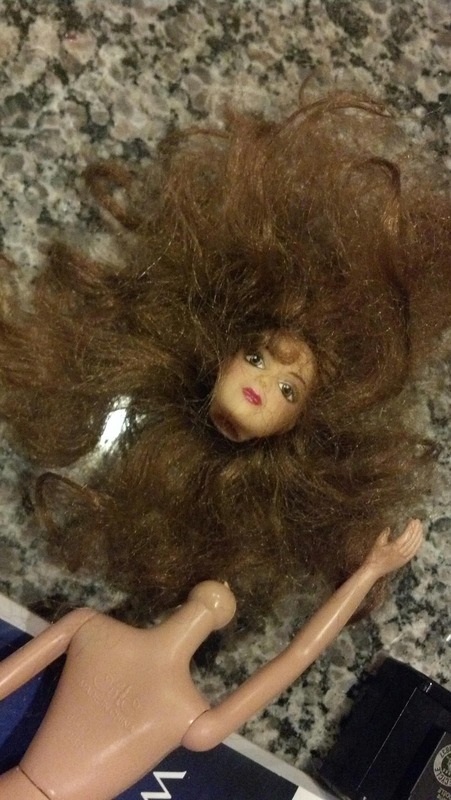 I'm not sure what happened to this Barbie knock-off, J Bean did her hair like Diana Ross then I later found her like this. "I will Survive?"... Not this time lady. Oh well, I'm not shedding a tear. I despise Barbies, this one was a gift but we'll miss her endless love.